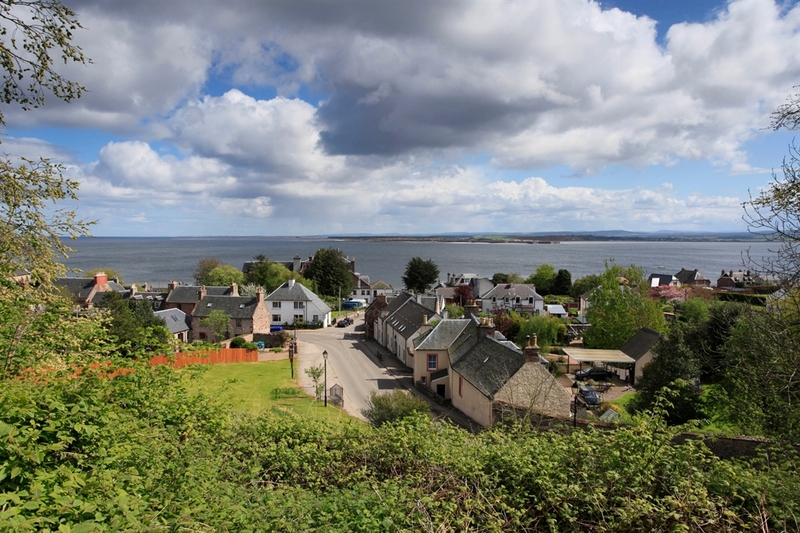 A 21 mile circuit taking in four of the villages on the Black Isle near Inverness. As a circuit this route can be started from any of the villages visited but as the most convenient for access from Inverness and beyond it is described from Munlochy. For those coming by car there is car parking next to the Post Office on the main street. The local bus service from Inverness also carries bikes but check timetables for which ones have bike racks. Follow the main street uphill past the village hall to reach the junction with the A832. Cross this road and continue uphill on the minor road signposted to Culbokie. This is also part of the National Cycle Network route 1 (NCN1) so signs for it can be followed. After two miles the route turns right, signposted to Killen and still signed NCN1. Follow this road, through Killen and onwards until the B9160 is reached at a t-junction. Turn right and head downhill to the A832 where another right turn leads to another big downhill into Rosemarkie alongside a small but steep sided wooded valley known as the Fairy Glen. (a slightly longer but quieter detour avoiding part of this main road is possible by following NCN1 signs from the B9160 until it rejoins the A832). Shortly after crossing the bridge into Rosemarkie the Plough Inn is seen on the left. 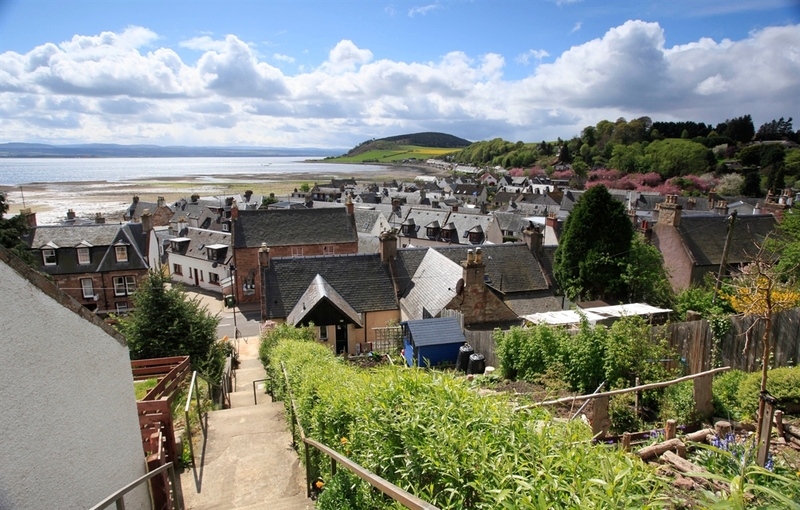 Turn left alongside the Inn and follow this narrow road to reach Rosemarkie beach. Turn right and follow the road along the waterfront and past the golf clubhouse until a t- junction is reached. A detour to the left here leads to Chanonry Point - a popular spot for seeing the Moray Firth dolphins, but the route turns right and heads into Fortrose. Turn left along Deans Road and past the school and leisure centre before turning right along Academy Street past Fortrose cathedral on the right to reach the A832. Turn left along the A832 and follow this along the shore to reach the village of Avoch. Once past the harbour take any of the next few turnings on the left which all lead down past the old fisherman's cottages of this traditional fishing village to reach the shore. Turn right along the shore passing a long row of cottages until the road itself veers right at the end of the village. Follow this road, initially uphill then after a few bends back down to rejoin the A832. A left turn here leads back to Munlochy.